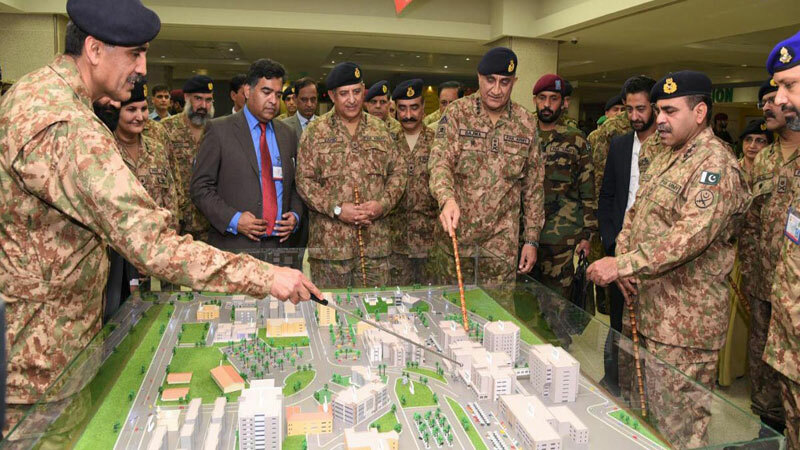 Chief of Army Staff (COAS) General Qamar Javed Bajwa on Tuesday inaugurated the new blocks at Combined Military Hospital (CMH) Rawalpindi. The project commenced in 2013. In a statement issued by the Inter-Services Public Relations (ISPR), after completion of construction CMH has become 1000 bed hospital with capacity of 1150 beds. With enhanced capacity and high-tech equipment as many as 5,000 patients would be treated daily at the OPD, the statement said and added the hospital would cater for medical needs of military as well as civilian personnel.